Well, Winter Sessions have finished and Spring Break brings a much needed teaching break. This was my first year teaching the Spinning and Dyeing class at Place des Arts, and along with teaching some new Intermediate Weaving workshops, I experienced a very steep learning/teaching curve. This meant preparing for class, spinning and weaving numerous samples, preparing dyes, making handouts, testing drafts, and general thinking about what to teach and how to teach, and most of all, making sure everyone had enough attention and materials. I poured 100% of my focus and passion into this and was constantly reminded of why I love, love, love teaching. The students were happy and said that they enjoyed the classes, and learned a lot. Not everything went perfectly, of course, and I have notes and feedback that will help the next sessions run even smoother. These yarns from West Coast Colour and Carding, have marvelous depth of colour and subtle nuances, hard to see in the pictures, but wonderful in the yarns. Reminds me of river rocks in the sun and dappled shadow. 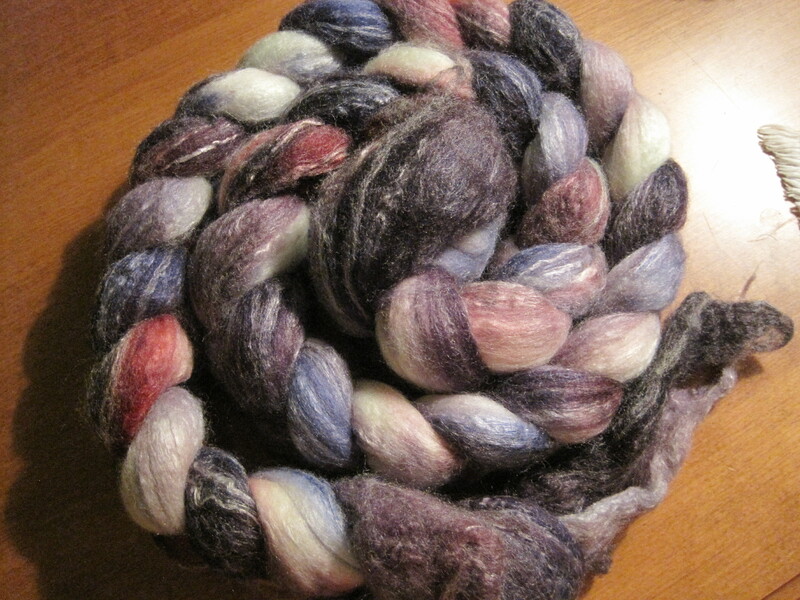 The next challenge will be to actually make something from the yarns I spun! 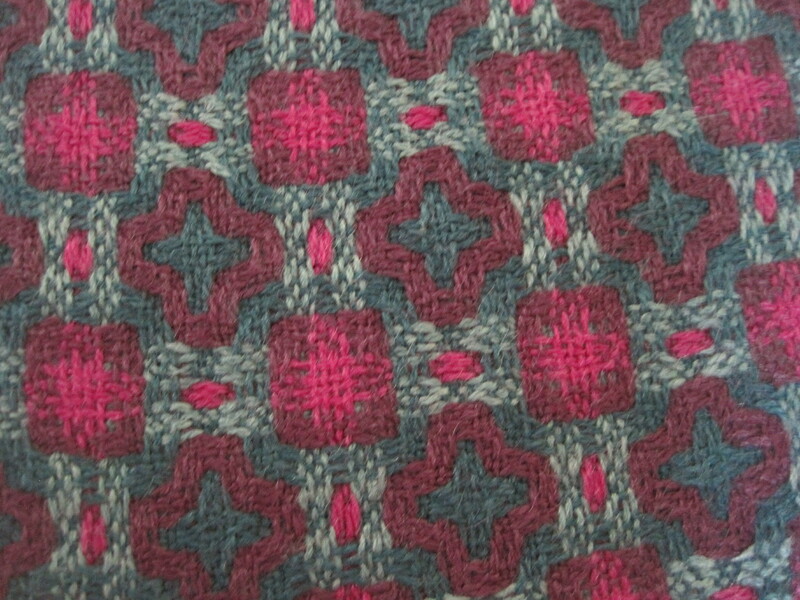 This scarf is in deflected double weave, in Zephyr wool/silk, set and woven at 20 ends per inch. 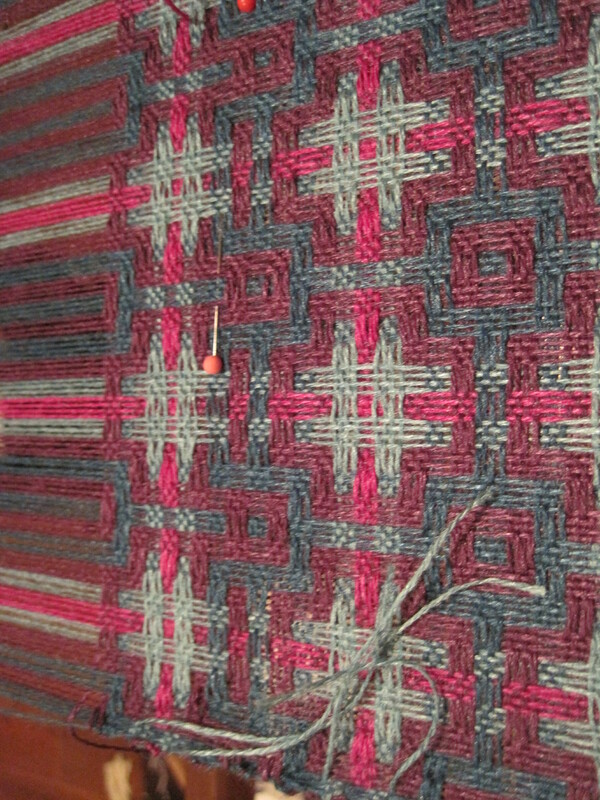 It was so open on the loom, and was a challenge not to beat too hard. 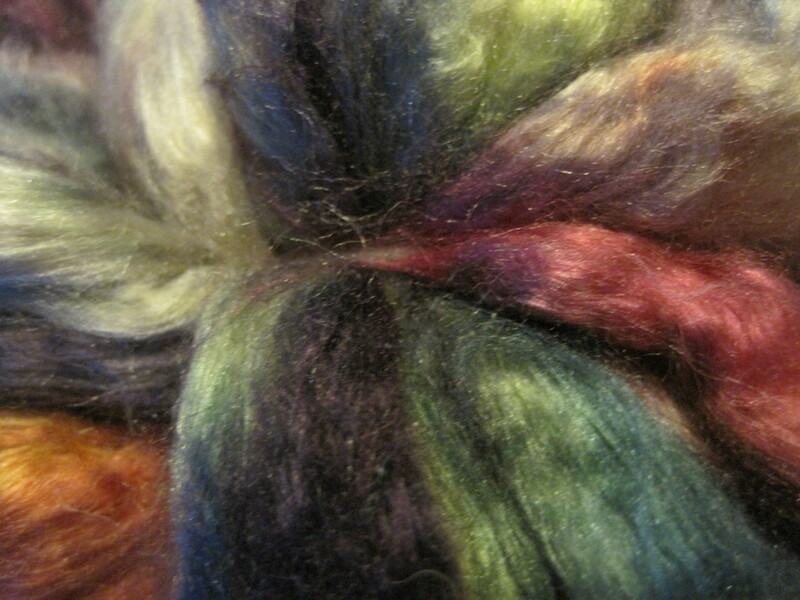 Washed and finished, it has a lovely soft drape, you just have to feel it! 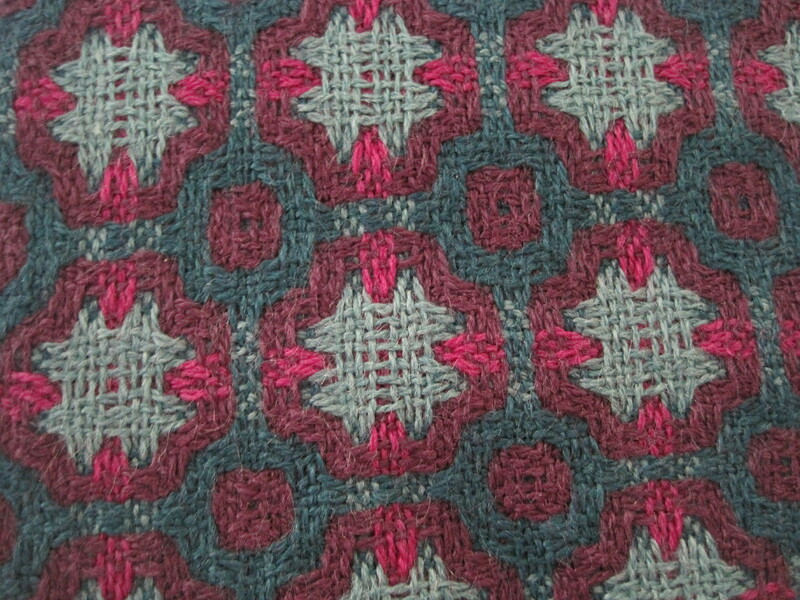 The rest of my weaving over the last two months has been for classroom samples. More on that at a later date. This entry was posted in Spinning, Weaving and tagged Bamboo, colour, Fibres West 2015, hand weaving, handspun, handwoven, Loom, Merino, Place des Arts, Scarf, Silk, Spinning, Textiles, Weaving, weaving workshop, Wool. Bookmark the permalink. Beautiful scarf! You have been a very busy lady. 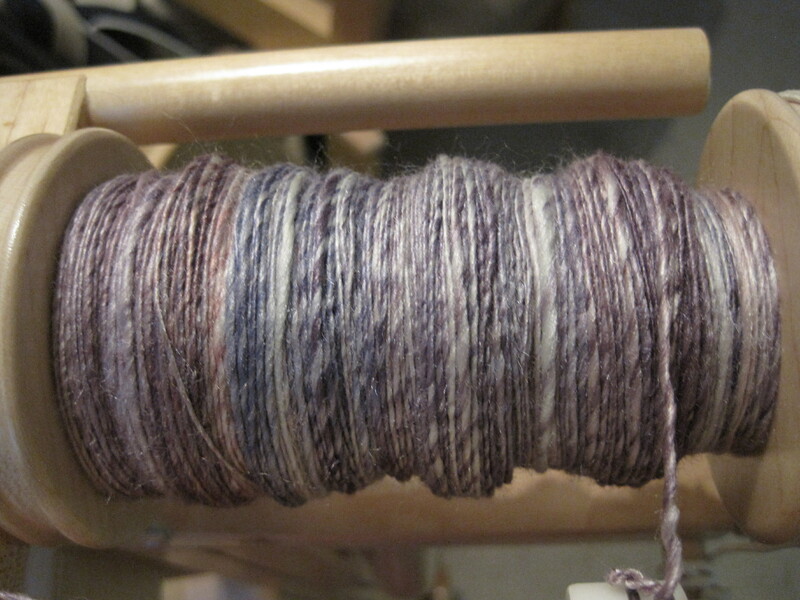 Your spinning is gorgeous! I’m interested to hear that there are fibre lessons at Place des Arts–I live in NY about an hour south of Montreal. And I was relieved to see that you washed your wool/silk scarf–I just made one of that fiber, too, and wasn’t sure if hand washing would ruin it! Thanks for your comments, Kerry. The Place des Arts I teach at is out here on the west coast, near Vancouver. 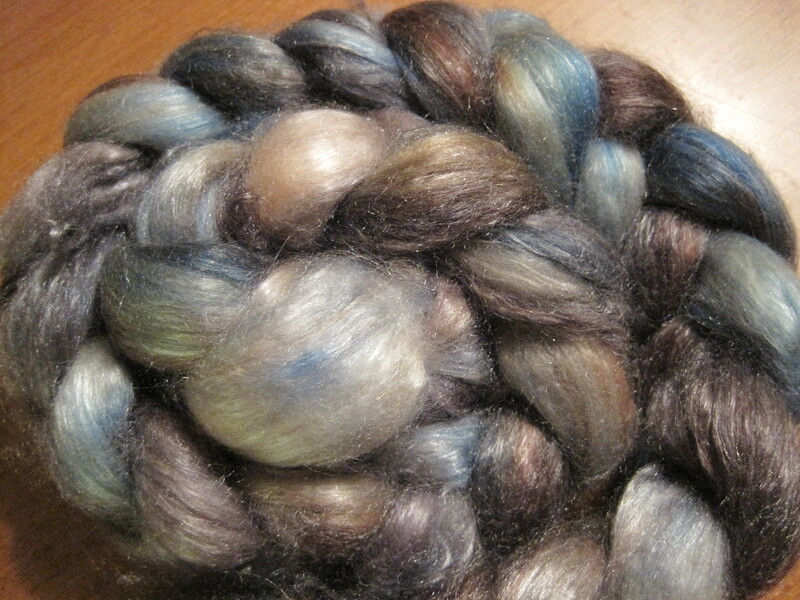 For the Zephyr wool/silk I hand wash is warm water with a drop of Synthropol, and agitate gently. Check frequently, and stop as soon as it reaches the desired level of fulling you want. Rinse in the same temperature of water, Squeeze the water out, without wringing, roll in a towel to remove excess water, lay flat to dry and iron while still slightly damp. Good luck with your weaving, and post on your web for us to see!